Roguelike is a subgenre of role-playing video games. It is define by a dungeon crawl through procedurally generated game levels, turn-based gameplay, tile-based graphics, and permanent death of the player-character. Most roguelikes are based on a high fantasy narrative, reflecting their influence from tabletop role-playing games such as Dungeons & Dragons. Roguelike is a sub-genre of role-playing games. It literally means “a game like Rogue”. Rogue is a dungeon crawling video game, first released in 1980 by developers Michel Toy, Glenn Wichman and Ken Arnold. The game stood out from the crowd by being fiendishly addictive. 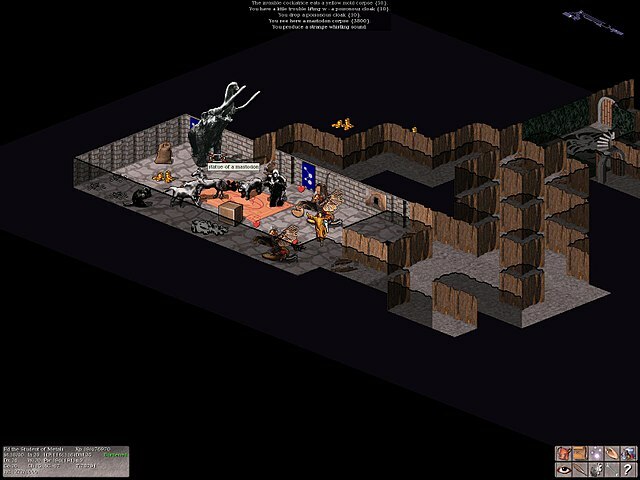 The game’s goal was to retrieve the Amulet of Yendor, hidden deep in the 26th level, and ascend back to the top, all set in a world based on Dungeons & Dragons. The game is rightly considered to be a classic, formidably difficult yet compelling addictive. While it was popular in college and university campuses, it wasn’t a big seller. At the time of its release, Rogue wasn’t published under an open source license, which led to many clones being developed.